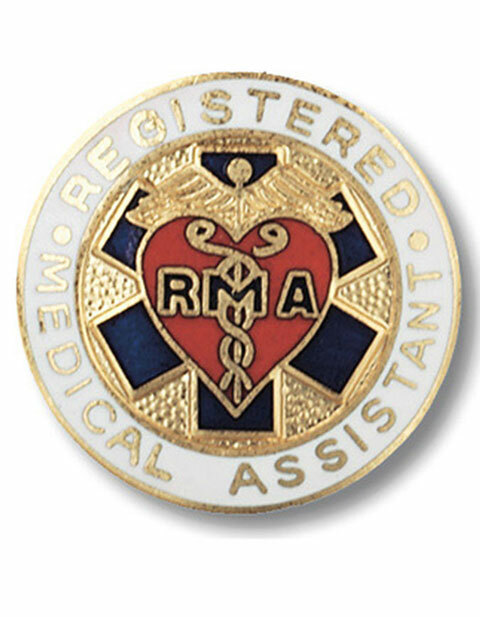 A Registered Medical Assistant Pin by Prestige features beautiful design that make you stand out of the crowd. Each pin is individually handmade using old world craftsmanship that enhances the style of this pin. Painstaking attention to detail and fine gold plating enhance each pin and provide a distinguished appearance. All pins are sold in distinctive display packaging.